I HAD to watch the historic Wimbledon Final, so I checked into to a hotel with ESPN and set my alarm for 7am. My checkout time was 11am, and the match ended up going until 11:15, so I asked for an extension which they reluctantly gave me half an hour… Thanks! Great match, totally worth the hotel splurge. I shipped off toward Bozeman, Montana to visit my aunt and uncle. Bozeman is great! College town mixed with free range farms mixed with skiing and snowboarding. Fantastic! We first went to Crystal Bar to check out its’ rooftop bar. It turned out to be really cool and weird. 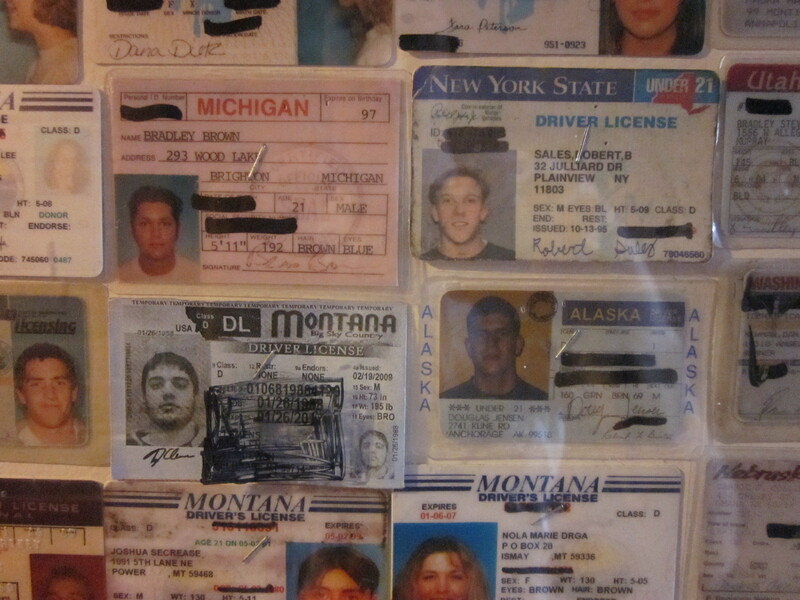 They had 2 full walls of confiscated fake IDs from all the college kids from Montana State U. 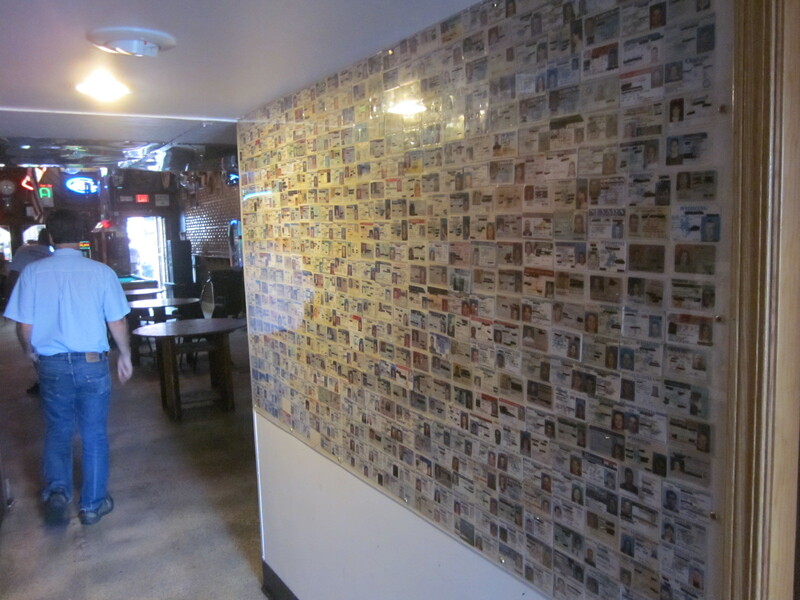 It also had a series of used beer taps on the wall that had bras hanging off of them. Sweet. 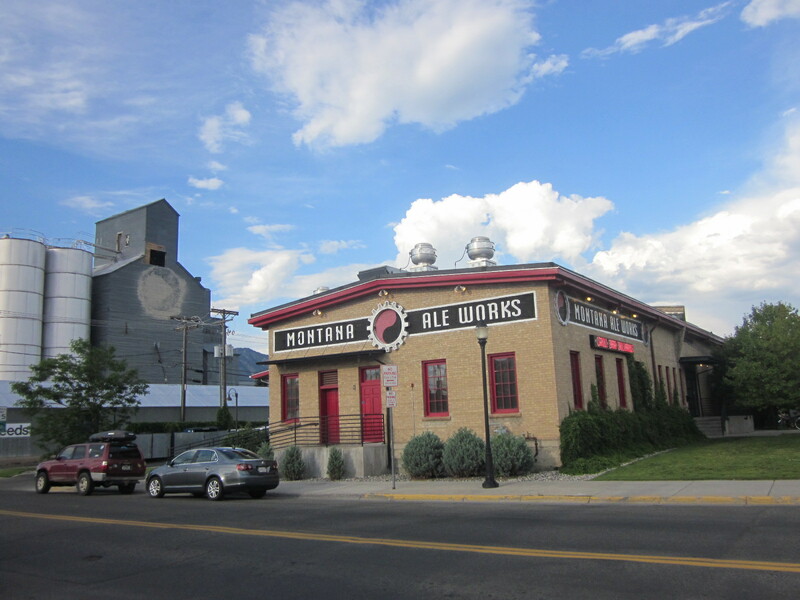 My aunt and uncle took me to Montana Ale Works, a brewery and restaurant. I ate a delicious Bison burger and drank some fine brew. Beer in Bozeman is super cheap too, 3.50 at Crystal Bar and 4.00 at Ale Works! 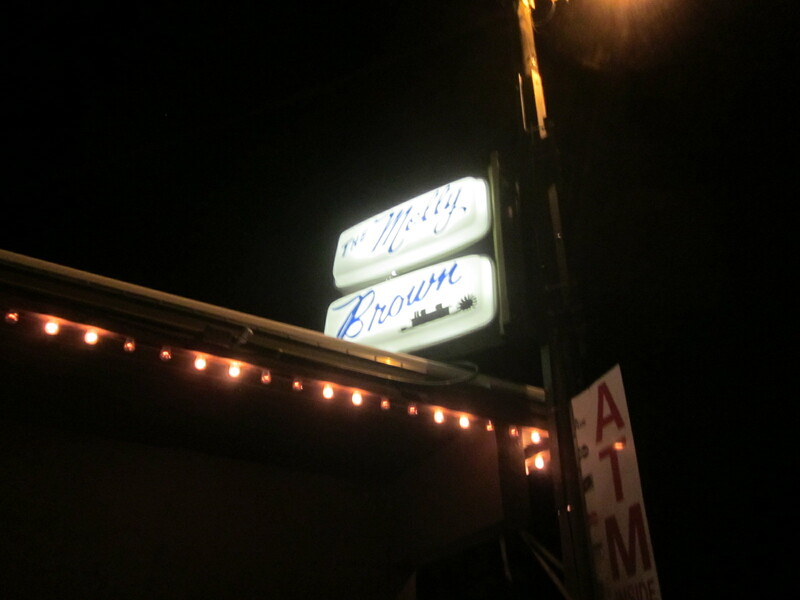 Later we went out and played some poker at a local bar, Molly Brown. It was mainly Omaha, not my wheelhouse, and I lost all my money, including an extra $20 my uncle gave me. Still fun though! Omaha is tricky, but one of the most fun poker games. I can’t wait to return for a longer visit!